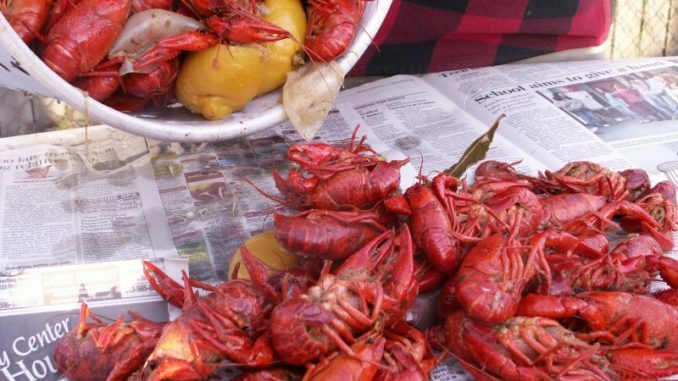 Any spring social event in Louisiana is most definitely centered around a crawfish boil. This time of year, is a time to relax with family and friends, enjoy the outdoors, and enjoy the bounty of the season, live Louisiana crawfish. For most, the magic behind your boil remains in the hands of two details – fresh, lively crawfish, and your cooking liquid. There are many recipes, but here’s one. About 5 gallons of water, or enough to fill a 30-quart boiling pot. Bring the water to a boil in a 30-quart boiling pot with the onions, lemons, garlic, bay leaves, crab boil, cayenne and salt. When the mixture reaches a boil, reduce to a simmer, partially cover and cook for 45 minutes to 1 hour. Let soak.